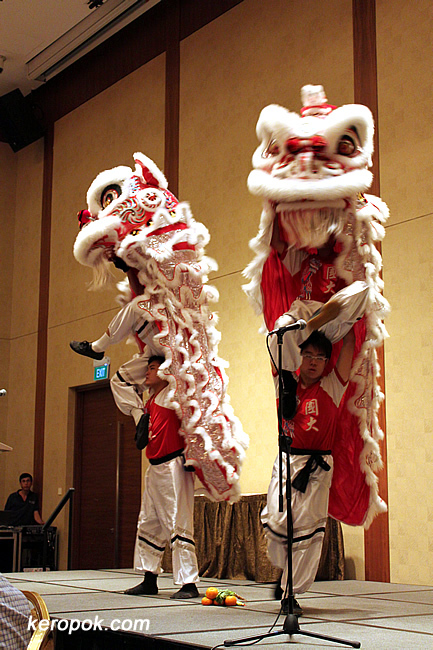 The Lion Dance Performance at the company's lunch. 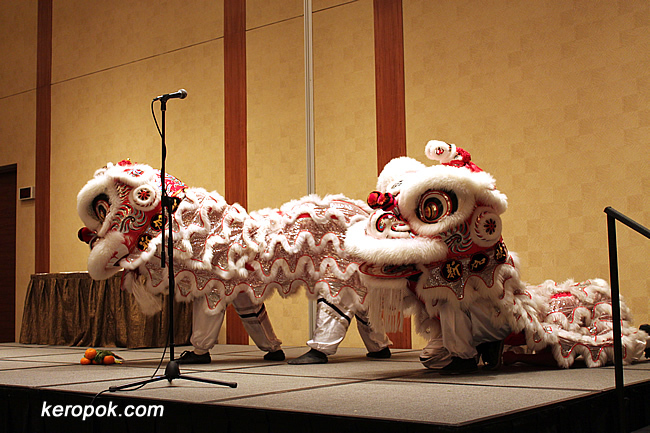 The four guys handling the lion costume are super fit! It's acrobatics with a lion costume on! Look at how effortlessly the guy at the bottom can carry the guy resting on his head!